Step up to the big leagues with the CZ 805 BREN A1 Airsoft Assault Rifle. 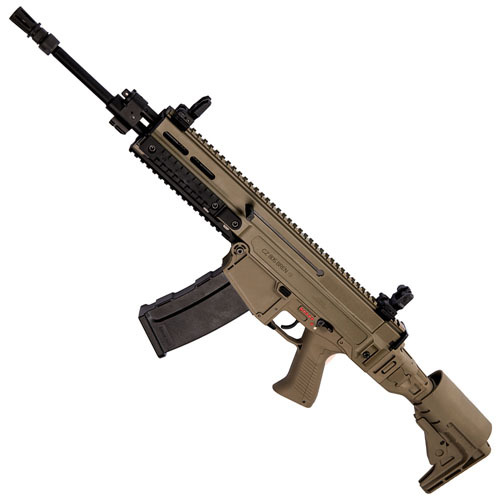 This large-sized AEG lends power and accuracy to every shot, and comes equipped with customizable Picatinny rails on all sides. 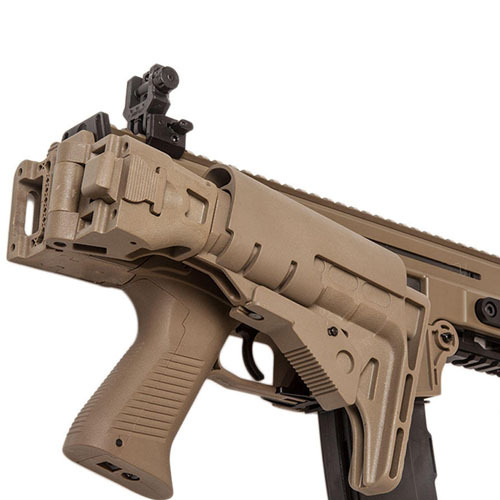 The side-folding buttstock can be easily adjusted or removed, allowing for fast in-the-field changes. 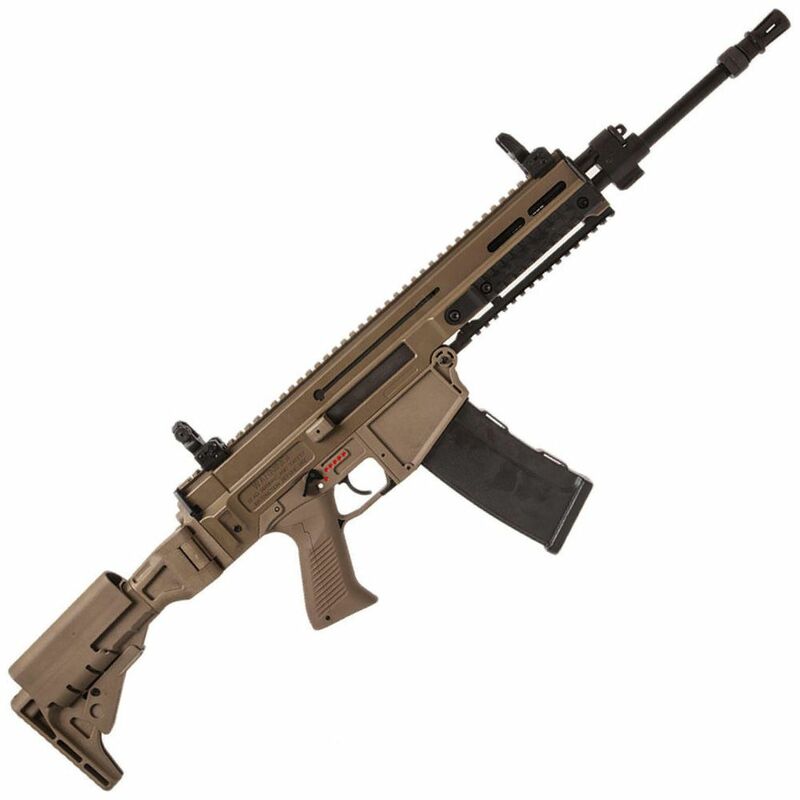 Desert tan-coloured rifle provides camouflage in arid environments.